Make the gravy the day before. 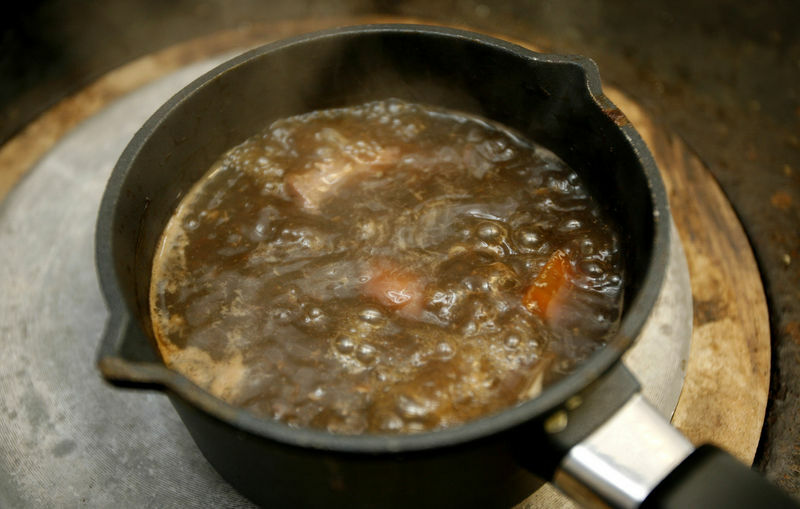 In a large saucepan or casserole dish place the giblets in at least 3-4 pints of water. Add a carrot, leek and herbs and simmer for at least 3 hours. Leave to cool and take off a little fat from the top of the stock. This helps to keep gravy free from fat. Brinng to the boil and thicken with plain flour or corn flour or brown gravy powder. Note: Always remember to have the goose or bronze turkey at room temperature before placing it in the oven.